This is the first year I have decorated for winter. 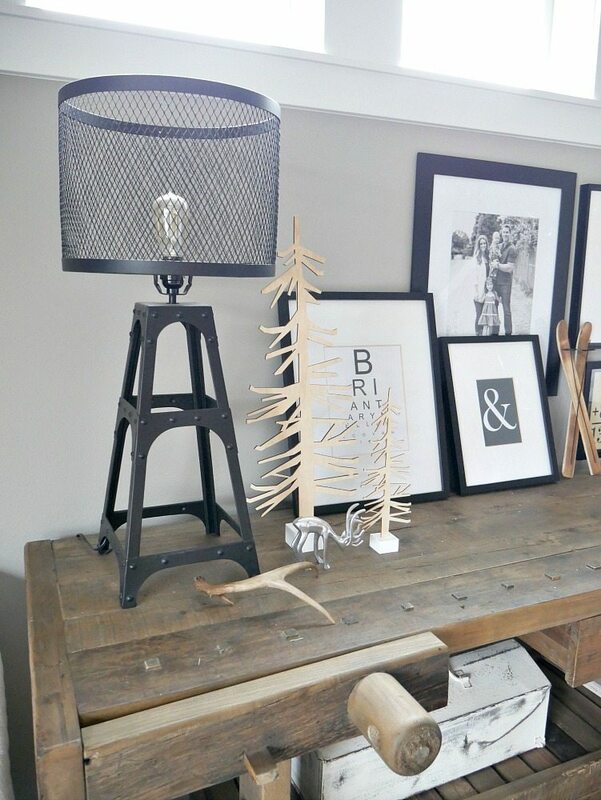 Typically when I take Christmas down, I pack EVERYTHING away and just want a clean slate. 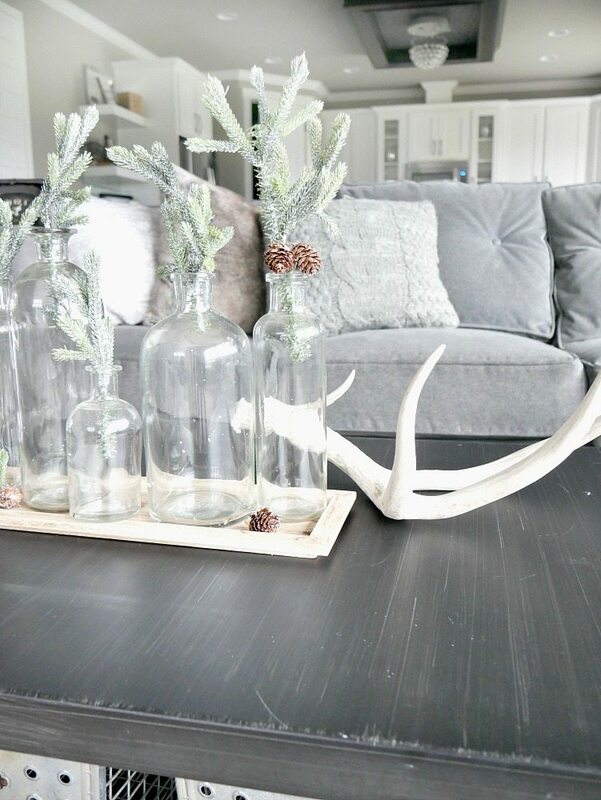 But this year I wanted to keep a few wintery and woodsy elements in our home, for just a little bit longer…. after all it is still freezing out and I look out at the snowy mountains every day. It only felt right. So naturally, I decided to take you on a winter house tour. 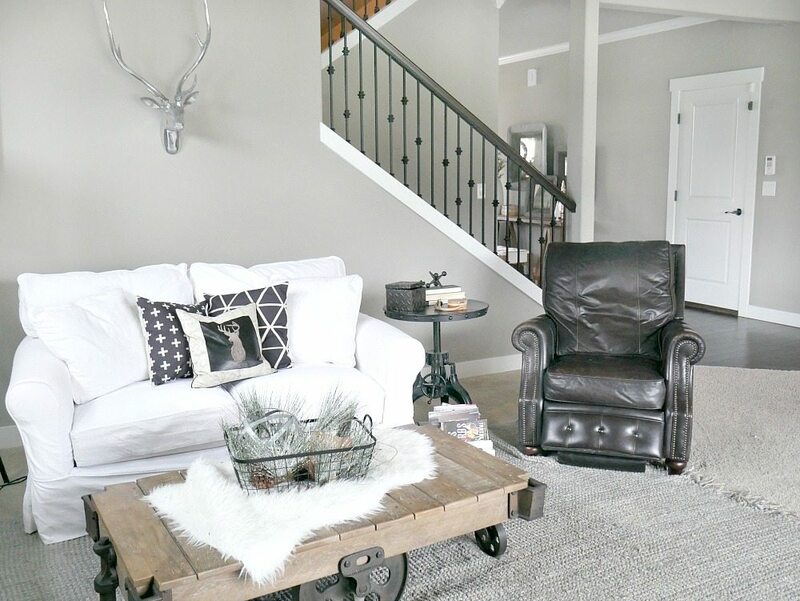 I’m so excited to be partnering with 12 other bloggers and we are sharing our Winter Home Tours with you today. If you are coming from Lauren McBride, welcome! 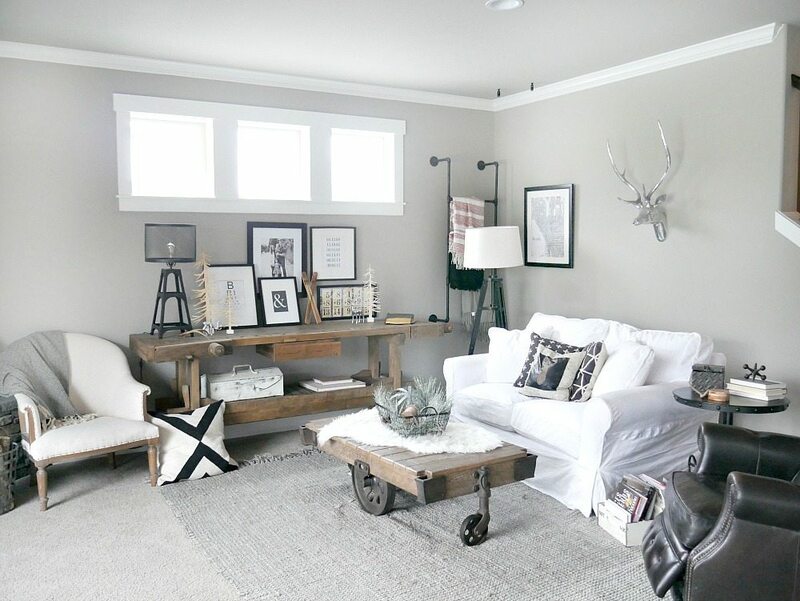 I encourage you to read through the full post and browse through the other home tours at the end. 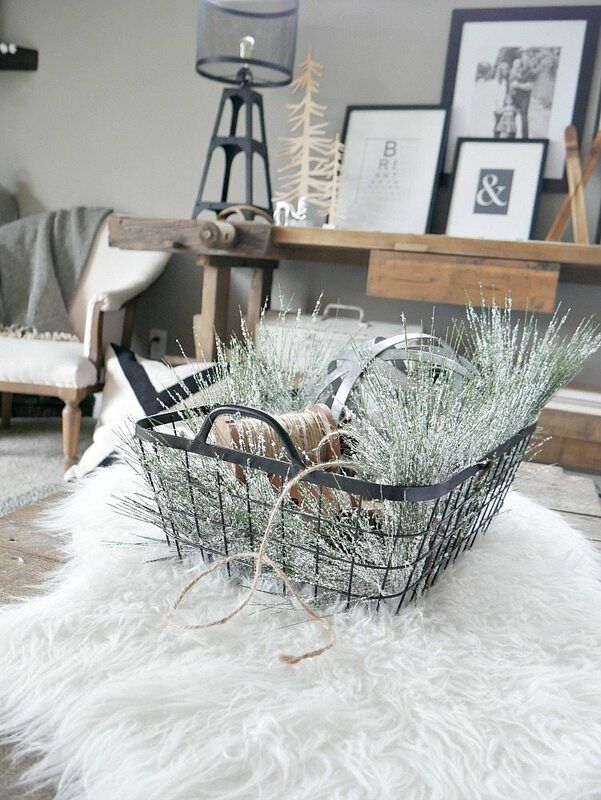 I love, LOVE all of the wintery decor I’m seeing. Everything is just so cozy! Last week, I gave you a peek into our winter decor and shared our winter mantel and winter porch. 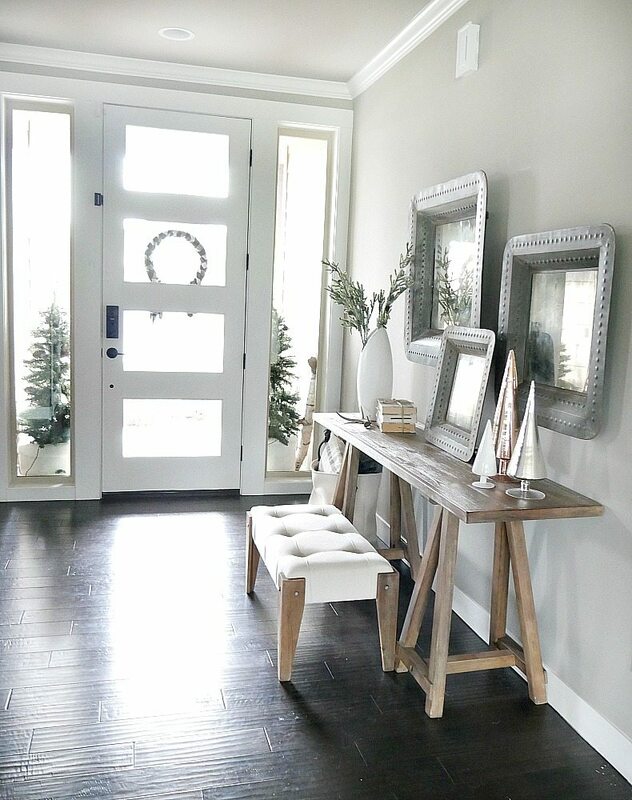 And today I’m walking you through our entry way and living room. Over the holidays I took down most of the decor in here and transformed it into a very festive space. It feels good to my have every day antique mirrors back up but I kept some neutral modern trees and a few sprigs of greenery. 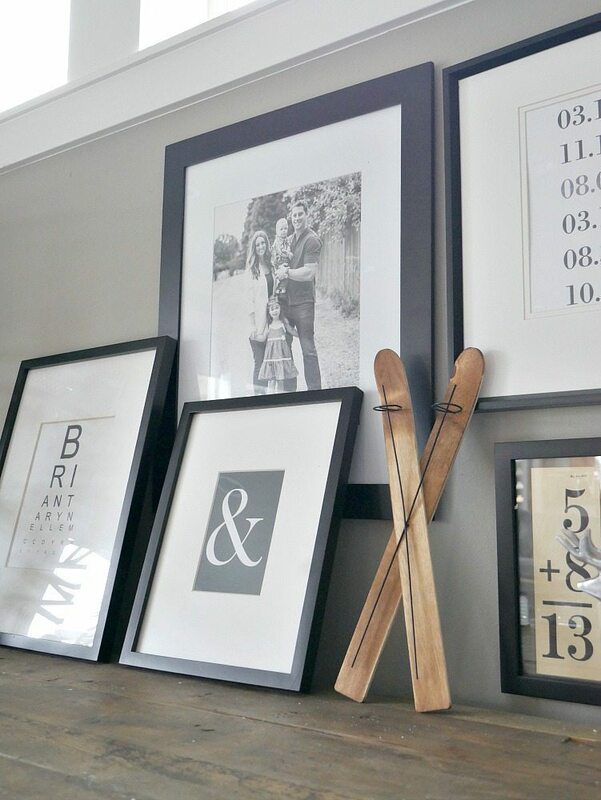 If you want to know where you purchase some of the items in this space, you can read my full post on our entry way. Moving into our family room. As much as I loved all the amazing holidays pillows on this sectional, it was time to pair it down and have a ‘normal’ amount of pillows on it. My husband really appreciated it ;) I left black, white and gray pillows and mixed different patterns and textures. 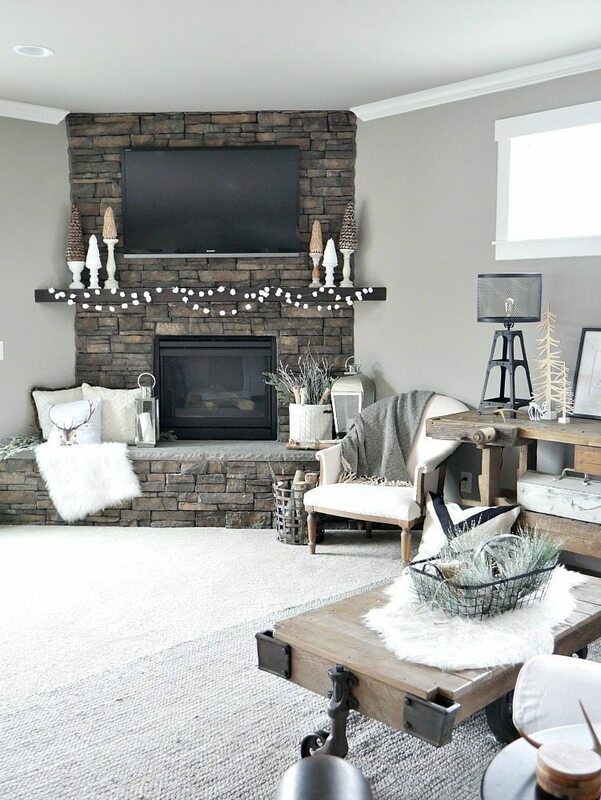 I gave you a peek into our rustic winter mantel last week, and now here is the full space around it. I wanted it to be cozy with a little bit of a lodge look. You can never go wrong with winter white! 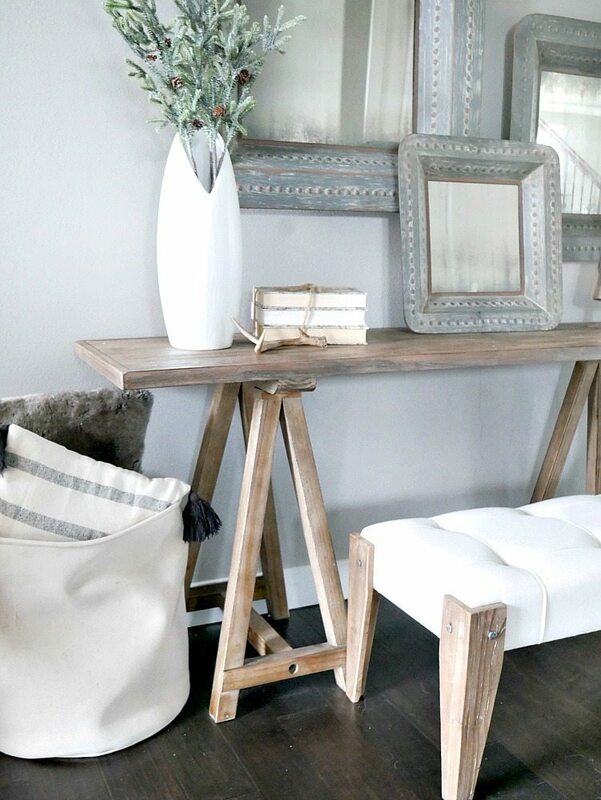 After the holidays, our family went back to the normal arrangement and my favorite console table is back to being a feature in this space. I keep looking at that chair thinking how I just need to curl up in there and read a good book. Maybe I’ll finally get around the reading the Magnolia Story! 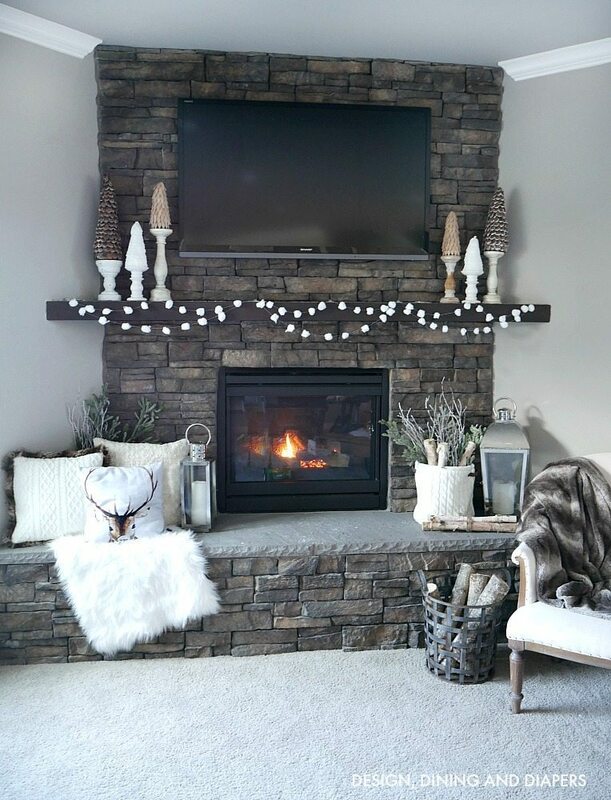 Do you keep winter decor up? I think I might be doing this every year now. I’m loving how cozy our house feels. Now, hop on over to Hamby Home Decor! 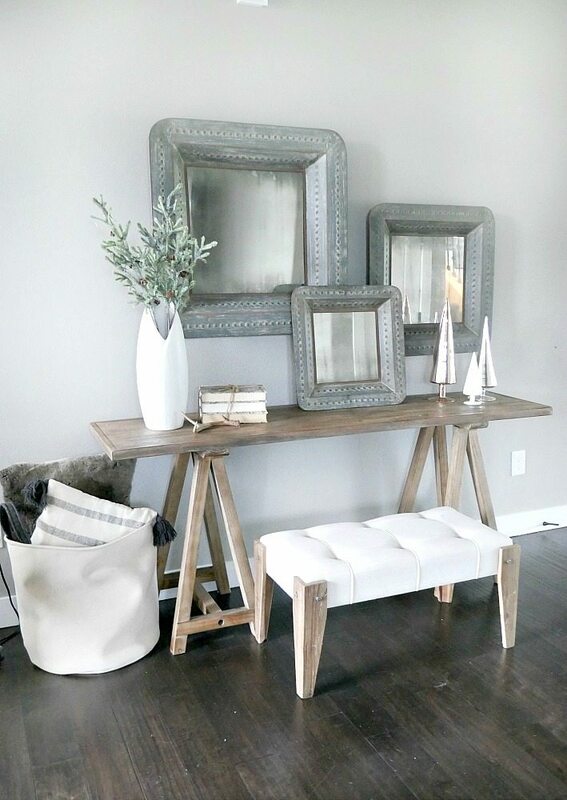 Courtney is such a beautiful decorator, you will be so inspired by her beautiful arrangements. 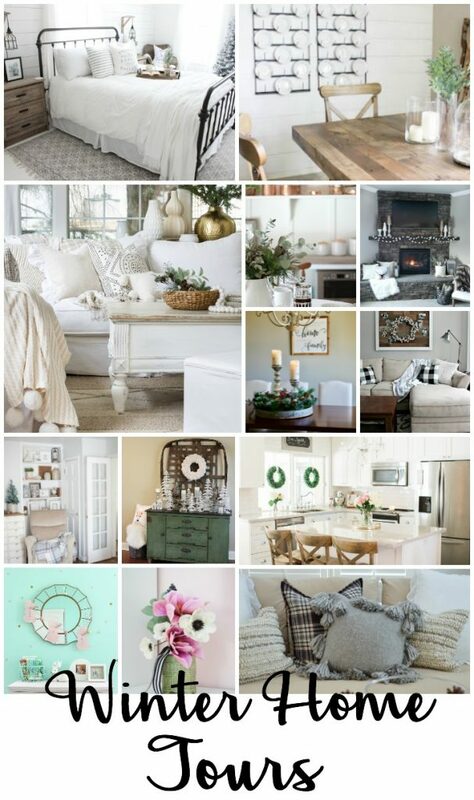 See below for links to all the refreshing wintery home tours! Love what you did Taryn! It looks so pretty & cozy! You’ve got the perfect balance of refreshed, while still paying homage to Winter. Taryn this is all beautiful! 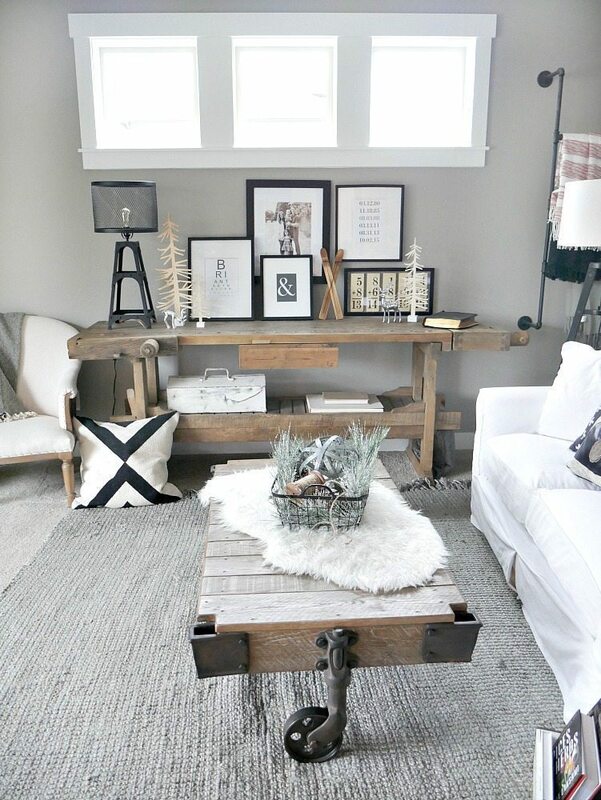 Looks inviting, and I love the styling. Thanks for hosting! I am OBSESSED with those antique mirrors! 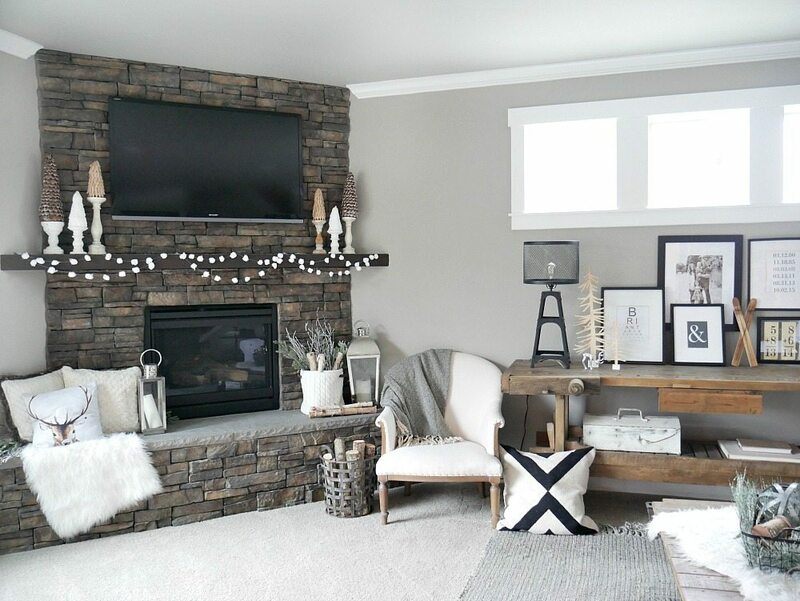 Your home looks so cozy and I love the neutrals after recovering from Christmas!! I left my lightly flocked greenery on top of my kitchen cabinets. My entry table I switched out ornaments and put in a few dark gray, light gray and white ornaments and pine cones in my lantern, while leaving 2 mercury glass trees and white sparkled deer on a runner of poly snow.. I actually didn’t decorate as much ‘Christmasy’ this year, but left my normal decor and added real greenery sprigs and garland. 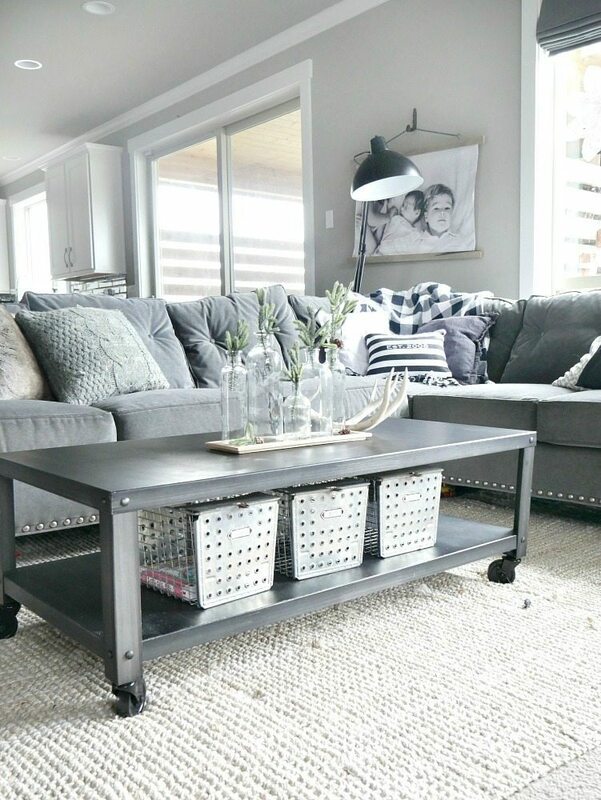 Your home is so homey and I get alot of inspiration for my decor from you.